Ahmed R Ahmed , Ph.D.
•	1998 : Trained for 3 months in power plant of Shoubra El Khaima. •	1999 : Trained for 3 months in power SAS for A/C. •	2000 : Trained for 2 months in Cairo Diesel Trading Group. •	2001 till 2003 : military period. 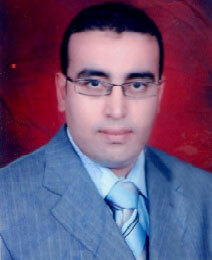 •May 2004 till September 2005 Worked in consulting mechanical office (El sharq office). •Working in faculty of engineering-El Mattaria-Helwan University as administrator since 2003 till 2013 for teaching engineering physics (heat, thermodynamics, properties of matter, electricity, magnetic and optics). •Working as part time in AAST since 2007 till 2013. •Working in faculty of engineering - AAST as administrator since 2013 till now for teaching engineering physics (heat, thermodynamics, properties of matter, electricity, magnetic and optics). •	2014 Studied in Germany for 6 months in the field of wave energy conversion. •	2015 participate in the project of WAVE HUNTER with Hamburg University. International Journal of Rotating Machinery, Marine Energy and Hy ower journals. Member of the Jury Committee in the Intel Bibliotheca Alexandrina Science and Engineering Fair (Intel BASEF 2017) Intel ISEF Egypt.